Browsing on a smartwatch – that's what everyone wanted, right? 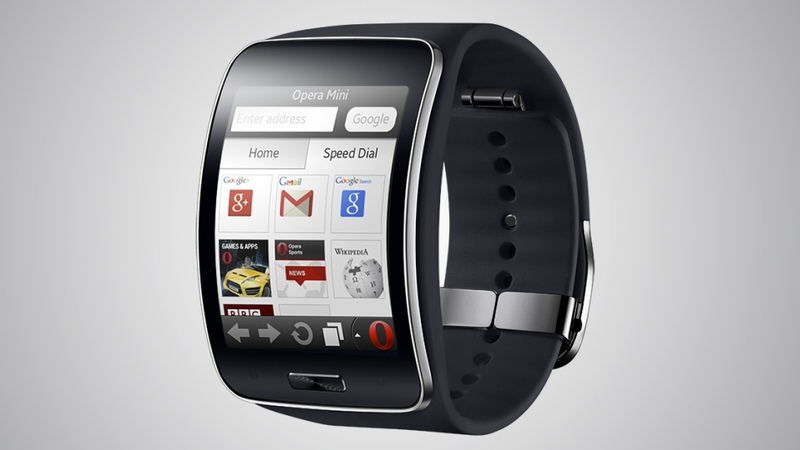 Opera Mini is coming for the Samsung Gear S, adding internet browsing to the usual smartwatch setup. Opera Mini is the Norwegian web giant's lightest browser, offering rendered web pages; making it ideal for smaller screens and for times when you have a poor connection. Remember, the Samsung Gear S is a standalone device (after the initial Galaxy registering, of course), that boasts its own SIM card slot and 3G connectivity - although you will need a separate SIM card plan in order to take advantage of the untethered call and message features. Opera Mini on the Gear S works just the same as it does on a basic smartphone; with pinch to zoom, swipe navigation, Speed Dial buttons and offline page saving all present and correct. The Tizen-friendly web browser joins the likes of Nokia by getting in on the Samsung Gear S action (HERE maps come pre-loaded on the new smartwatch). The Korean tech giant has also teamed up with Nike to offer the popular Nike+ Running app straight out of the box. With a 2-inch 480 x 360 display, the Gear S is certainly the most qualified smartwatch to offer a web browser although we're still not entirely sure how useful it will be. Only time will tell though - we look forward to reviewing the Samsung Gear S very soon. In the meantime, check out our guide to the best Samsung Gear apps.